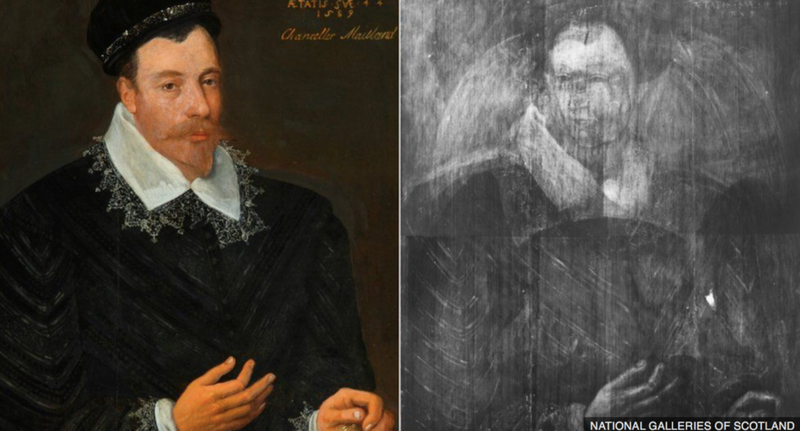 An exciting discovery for British history buffs: an unfinished portrait believed to be of Mary, Queen of Scots has been revealed under a 16th-century painting using X-ray photography. The hidden portrait is a special find by painting conservator Caroline Rae, yet it is not unique. In having her features painted over, Scotland’s doomed queen finds herself in excellent company. The portrait in question is of Sir John Maitland, the first Lord Maitland of Thirlestane (1543-1595), and normally hangs in a gallery in London. At the time it was painted in 1589, two years after Mary’s death, Maitland was one of the most powerful men in Scotland, having attained the office of Lord Chancellor. The work is attributed to Adrian Vanson (or Van Son), an artist from the Low Countries who later became court painter to James VI, Mary’s son. The X-ray revealed that Vanson originally had very different plans for this portrait. 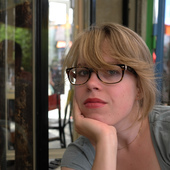 Instead of Maitland’s face with its characteristic moustache and goatee, we can see the face of a woman, slightly tilted and turned in the opposite direction. The outlines of a square-necked gown and a wired lace ruff are clearly visible; the ghostlike appearance of someone who perhaps needed to be forgotten. Mary Stuart was executed for plotting the murder of Elizabeth I of England. Her image was identified from the few authentic portraits in existence, including two miniatures by the English painter Nicholas Hilliard. If it is Mary, the painting may well have been begun around the time of her execution. This would be surprising but not unlikely: it is easy to imagine portraits of her still being in demand in Scotland but at some point being judged too dangerous. Whether asked to do so by a patron or at his own initiative, Vanson would have been reusing the panel to cover up the politically sensitive evidence. The history of art is full of examples of covered up or destroyed portraits. Often politically motivated, they are sometimes known by the Latin expression damnatio memoriae – the condemnation of memory. In ancient Rome the senate sometimes sanctioned the destruction of the images of previous emperors on coins and life-size sculptures, whereby often only the heads would be replaced – a cheap solution. There are other good examples from around Mary’s time. 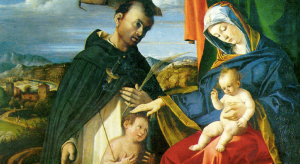 The Italian bishop Bernardo de’ Rossi commissioned a painting of the Madonna and Child that included his own portrait, having recently survived an attempt on his life. But at a later date his family had his image painted over in favour of an infant St John the Baptist. No one looking at the painting nowadays would guess that it once contained the bishop. Later in the 16th century Bianca Capello, grand duchess of Tuscany, fell victim to a campaign of damnatio memoriae: after her premature and possibly violent death her brother in law, Ferdinando de’ Medici, saw many of her portraits destroyed. There are also more recent examples. The Soviet Union was notorious for erasing unwanted figures from the photographic record, long before the existence of Photoshop. Stalin had the head of his secret police, Nikolai Yezhov, airbrushed after his execution in 1940, for instance. The Nazis and Chinese communists also have form in this respect. Artists sometimes covered up initial compositions for more mundane reasons than politics, of course. Vincent van Gogh is well known for having recycled canvases to save money. Three years ago, researchers ascribed similar motivations to Pablo Picasso after finding a portrait of a man with a bow tie underneath his famous Blue Room. No less spectacular was the discovery last year of Edgar Degas’s favourite model under his Portrait of a Woman. 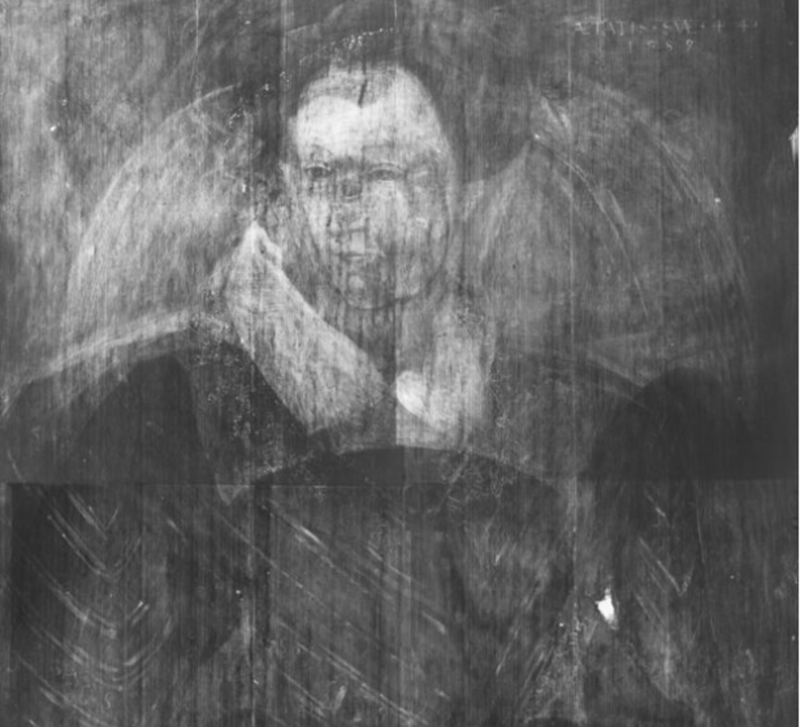 While art historians have been using X-rays to analyse the authorship of paintings for over a hundred years, it has always been limited by the fact that, depending on the chemical composition of the paint, it does not make everything visible, and only results in the characteristic black-and-white image. This makes the results difficult to interpret, although it can still produce important results, as we see with this latest discovery. Yet recent advances in X-ray technology have helped to overcome this problem in certain cases: a technique called X-ray fluorescence makes it possible to see under-paintings in high-resolution full colour. This is what was used to uncover the image in the Degas painting, for example. While specialised knowledge and highly costly equipment are required, it is probably only a matter of time before more fascinating discoveries are offered up by old masters. Who knows what else might be revealed from the Maitland painting if it was subjected to similar techniques. A tantalising prospect, especially for what such finds may tell us about artistic process and changing historical fortunes. This entry was posted in Art History, England, History. Bookmark the permalink.